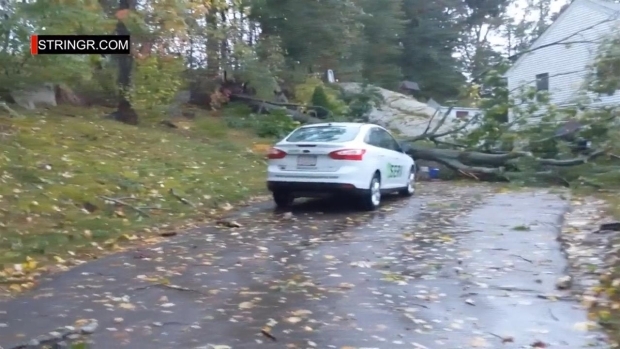 'Sounded Like a Hurricane': Storms Bring Damage, Power Outages to Mass. Strong storms swept across Massachusetts late Thursday afternoon causing widespread power outages and toppling trees and power lines. The storms toppled a tree onto a home on Hopedale Street in Hopedale where winds reached 50 mph. “It sounded like a hurricane. I thought it was a hurricane coming through. 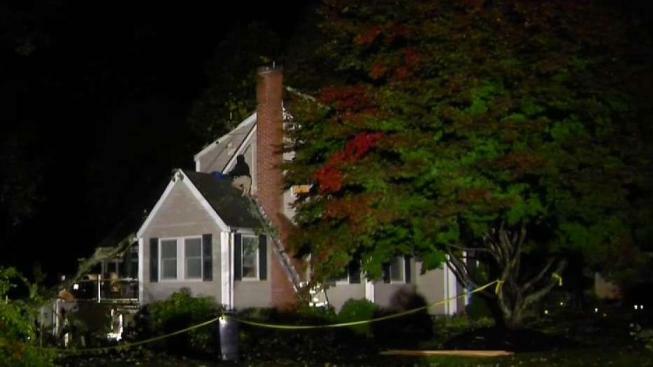 I truly did,” said one Hopedale resident. Tom O’Hara lives in the home that was damaged by the tree. He says his brick chimney was hit, and three holes were pierced into the roof. O'Hara just bought the house 18 months ago. “They just got home. The tree went boom. Heard a big boom,” he said. “I will tell you I had a few windows open and the winds became very very intense. And it was extremely loud. Very scary. I ran around closing the windows,” said Mary Rothberg. The damage extended into surrounding towns. A large tree came down on Courtland Street in Milford. There was more damage in Bellingham where a tree and power lines came down on Grove Street. O’ Hara says it could have been worse. His family is okay, and no one was outside when the tree came down. “The driveway was empty thank god, or they probably would hand crushed the cars,” O’Hara said. No storms were expected Thursday night, but heavy rains will sweep across Southern Massachusetts, Cape Cod and the Islands Friday morning.